NOTICE: Requires the base game XCOM 2 in order to play. Activation key must be used on a valid Steam account, requires internet connection. About the game	XCOM 2 This rebellion-themed content pack introduces more than 100 new exotic customizations for the entire arsenal of armors available to your XCOM soldiers. These options are purely cosmetic and do not alter the stats of a soldier.This conten… t is part of the XCOM2 Reinforcement Pack and the XCOM2 Digital Deluxe Edition. 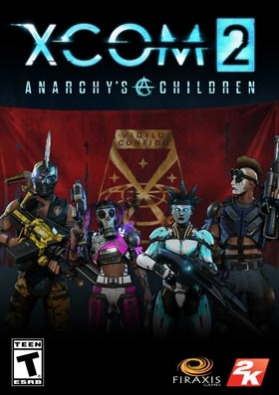 If you already purchased the XCOM2 Reinforcement Pack or the XCOM2 Digital Deluxe Edition, DO NOT purchase this content here as you will be charged again. System Requirements	Windows - Minimum Operating System: Windows® 7, 64-bitProcessor: Intel Core 2 Duo E4700 2.6 GHz or AMD Phenom 9950 Quad Core 2.6 GHzMemory: 4GB RAMHard Drive: 45GB available spaceGraphics: 1GB ATI Radeon HD 5770, 1GB NVIDIA GeForce GTX 460 or betterDirectX: DirectX 11Sound Card: DirectX compatible sound card Other Requirements: Initial installation requires one-time Internet connection for Steam authentication; software installations required (included with the game) include Steam Client, Microsoft Visual C++2012 and 2013 Runtime Libraries and Microsoft DirectX. Windows - RecommendedOperating System: Windows® 7,Windows® 8,Windows® 10, 64-bitProcessor: 3GHz Quad CoreMemory: 8GB RAMHard Drive: 45GB available spaceGraphics: 2GB ATI Radeon HD 7970, 2GB NVIDIA GeForce GTX 770 or betterDirectX: DirectX 11Sound Card: DirectX compatible sound card	©2016 Take-Two Interactive Software, Inc. Take-Two Interactive Software, Inc., 2K, Firaxis Games, XCOM, XCOM 2, and their respective logos are trademarks of Take-Two Interactive Software, Inc. All rights reserved.